Sad news: Bill Mitchell, journalist, historian and University of Bradford honorary graduate, died yesterday, aged 87. 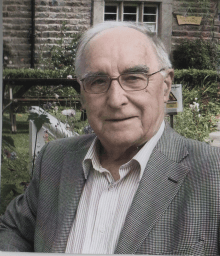 Bill needs no introduction to anyone with an interest in the Yorkshire Dales: the first editor of the Dalesman Magazine and a prolific contributor to other journals, he wrote hundreds of books and articles about Dales people, landscape and wildlife. 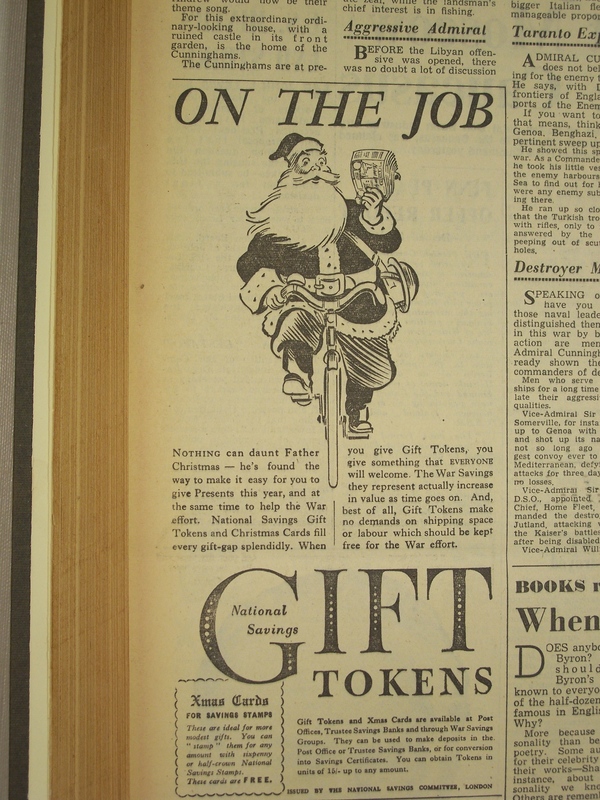 Throughout his career he applied and often quoted the principle “People before things”, said to him by Dalesman founder Harry Scott in 1948. Bill was a lovely person, with an incredible fund of engaging anecdotes and lively stories. He will be much missed. By Gum, Life were Sparse: Bill Mitchell’s Yorkshire Dales Scrapbooks. Object 83 of our 100 Objects exhibition. Who (or What?) is Your Yorkshire Icon? Our wonderful county of Yorkshire is an incredibly distinctive place, full of amazing characters, stories, places, and food. 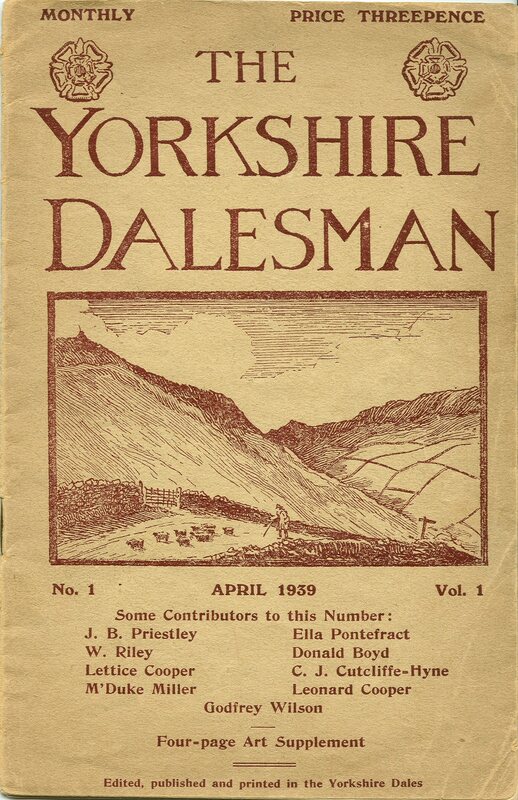 For its 75th anniversary, the Dalesman Magazine is asking people to vote for their Yorkshire icons, to choose the top 75. 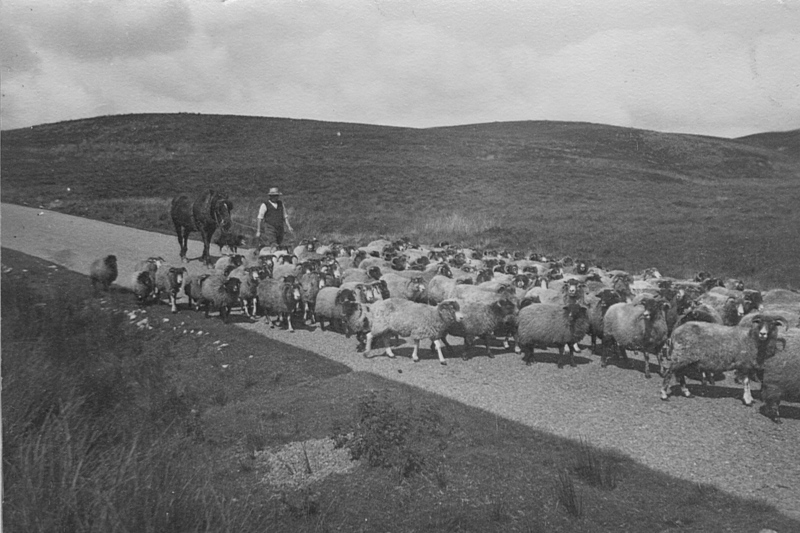 Yorkshire sheep somewhere in the Dales, from the Butterfield photo archive. As you might expect, many of the suggested icons have connections with the University, Bradford, or our collections. For instance, The Dalesman and Bill Mitchell, Harold Wilson (our first Chancellor), J.B. Priestley and of course sheep and WOOL (which made Bradford and the University). More to follow when the final 75 are revealed! PS This covers the whole of Yorkshire, not just the Dales! Welcoming Le Tour to Yorkshire! Thrilled that the Tour de France is coming to Yorkshire for the first two stages in July 2014! The route will take in iconic and difficult terrain near Bradford and in the Yorkshire Dales. 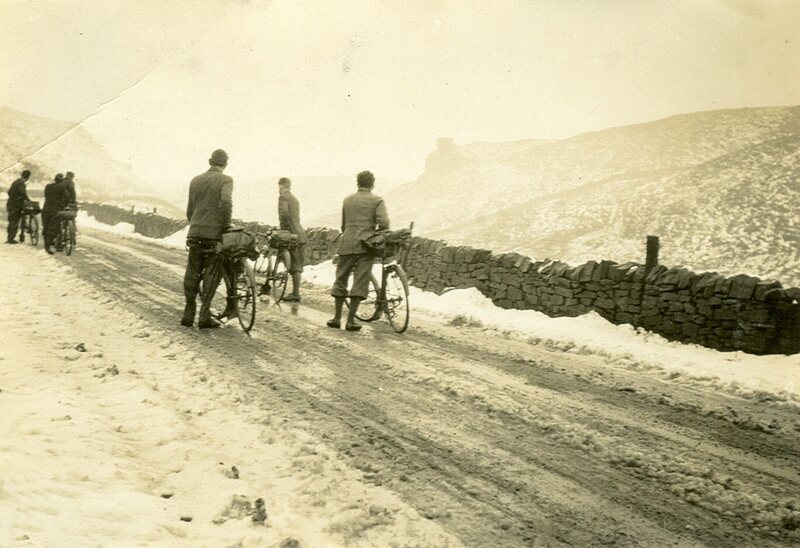 This image of cyclists on Kex Gill Pass during the 1930s gives a sense of the challenges to be faced, although we hope the weather will be slightly better for the Tour. This photo was taken by keen cyclist Fred Butterfield: find out more about him and his fascinating Yorkshire photographs in this entry from our 100 Objects series. Bradford University and the City have a long interest in cycling. Like rambling, it has long been popular in this region, the closeness of incredible landscapes to Yorkshire’s industrial cities allowing workers and students to find themselves in rural and remote settings just a few minutes outside the urban bustle. J.B. Priestley’s writings often show the value he and his contemporaries placed on the Dales as a place for freedom, beauty and adventure. Here’s the Cycling Club on Richmond Road, just outside the University, in November 1968. It looks rather chilly, and the accompanying news story observes that “the weather this term has not been favourable”, but “the more hardy members have been going out regularly each week”. It might be cold, but notice the lack of cars on the road – bliss! 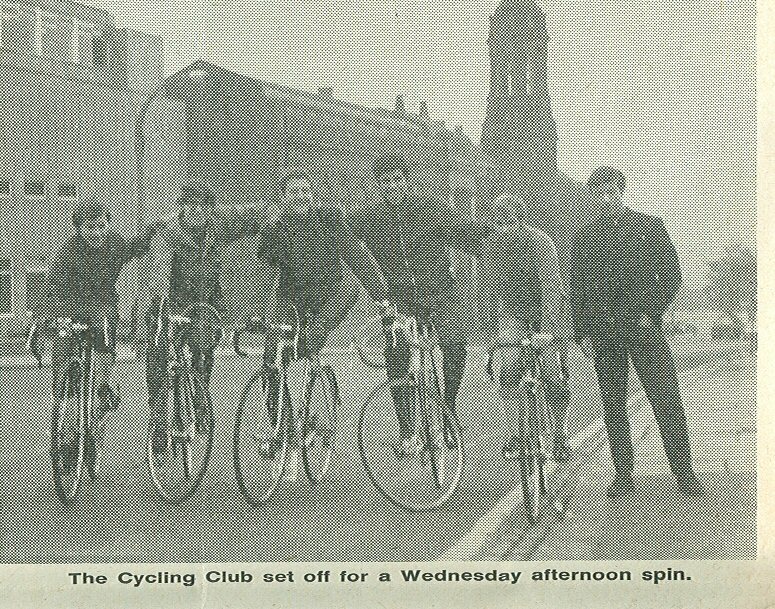 The more hardy members of Bradford University Cycling Club, from Javelin 28 November 1968. Cycling is still really popular at the University: if you’d like to know more, see the University Bicycle Users Group and the Cycling Club websites. Today sees the launch in lovely, snowy Settle of a most welcome project which will bring a wealth of historical information to new audiences. 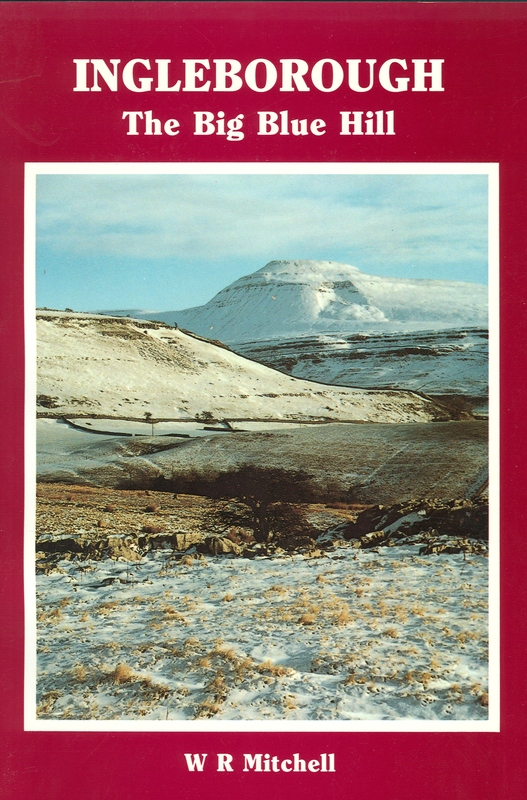 W.R. (Bill) Mitchell, journalist and prolific author, has spent his life gathering and sharing stories of the people and creatures of the Yorkshire Dales, documented in books, articles, photographs and oral history cassettes. 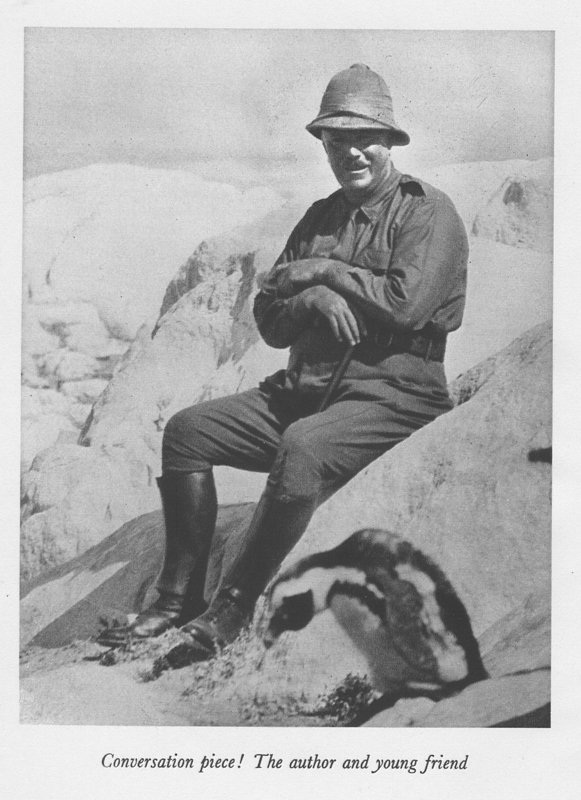 W.R. ‘Bill’ Mitchell (from WR Mitchell Archive project website). Led by Settle Stories and funded by the Heritage Lottery, the W.R. Mitchell Archive Project is digitising and cataloguing these cassettes (some of which are held in Special Collections at Bradford) to unlock their wonderful content, about farming, industry, nature and everyday life. Bill spoke to well-known Dalesfolk like Kit Calvert and Marie Hartley, and many many more. His understanding of their shared landscape and his journalistic experience mean that the recordings bring out the full richness of these peoples’ lives and heritage. For lots more detail about Bill Mitchell and the project, see the new project website which has just gone live. I recently mentioned The Settle Stories project, which will digitise Bill Mitchell’s oral history interviews with Yorkshire Dalespeople. The project is now calling for volunteers to help with this fascinating work. Roles include admin, outreach, promotion via the web, helping with events, and transcription, background research etc. Note that many activities do not require travel to Settle. To find out more, see the documents attached below. Readers who love the rich history and beauty of the Yorkshire Dales may be interested in a new project which has recently received Heritage Lottery Funding. Settle Stories will digitise a large collection of audiocassettes documenting Dales writer and journalist Bill Mitchell’s interviews with Dales people, made during the 1980s and 90s. Bill’s expertise and knowledge enabled him to get the most from his varied and fascinating speakers. The project incorporates story-telling and work with schools. There are many opportunities for volunteers to take part. 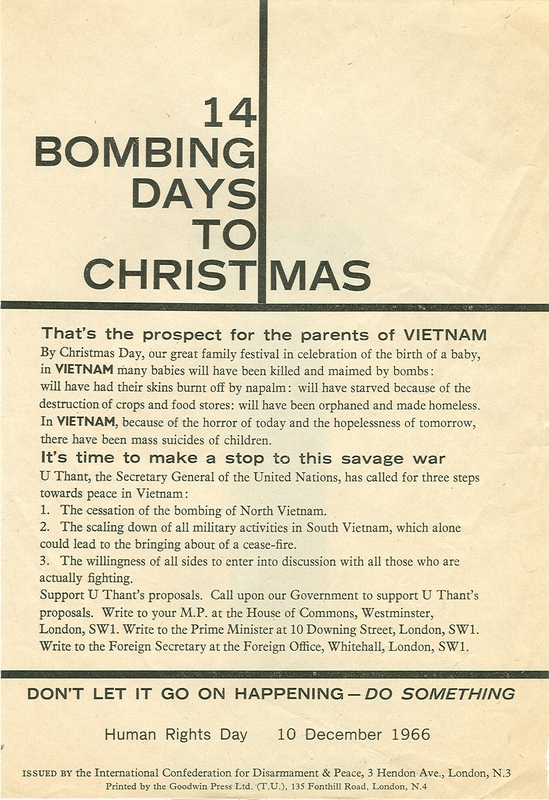 As home to the W.R. Mitchell Archive, which includes correspondence, photographs, scrapbooks, ephemera and more cassettes, Special Collections will work closely with this very welcome project.